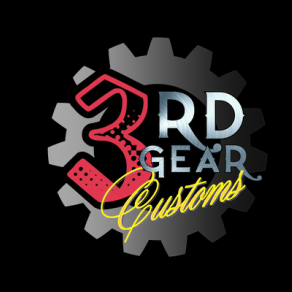 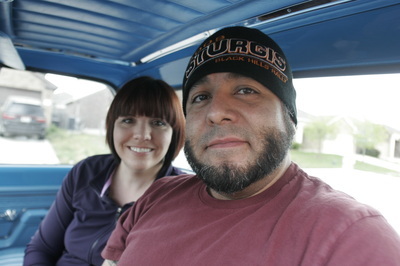 This project was the best transformation 3rd Gear Garage and Hot Rod Shop has created thus far. 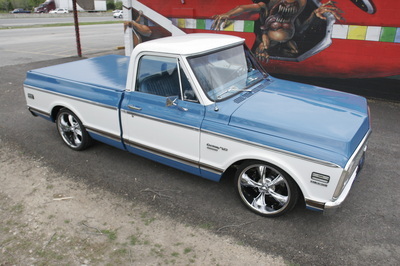 The customer had an old farm truck and a vision of chasing Camaros and other modded Euros down hills and corners. 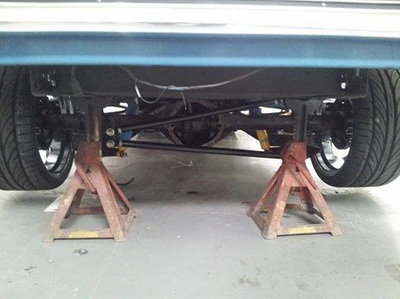 Out with the old and in with the new; the key was getting it all to blend together. 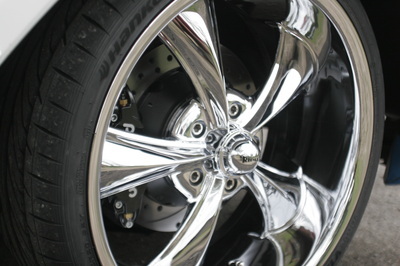 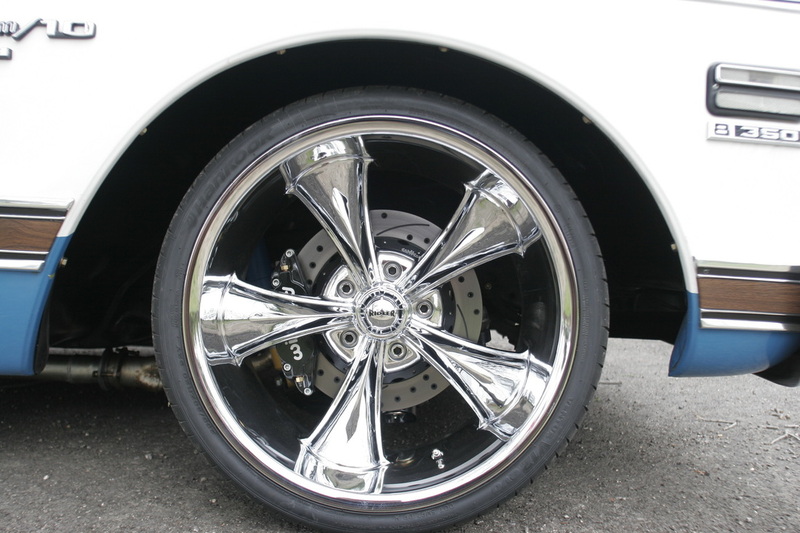 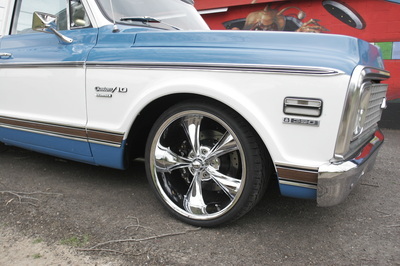 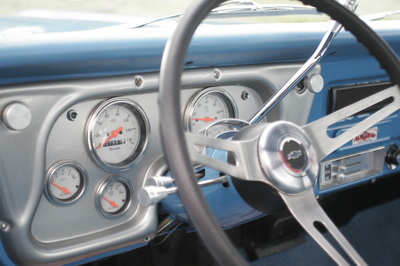 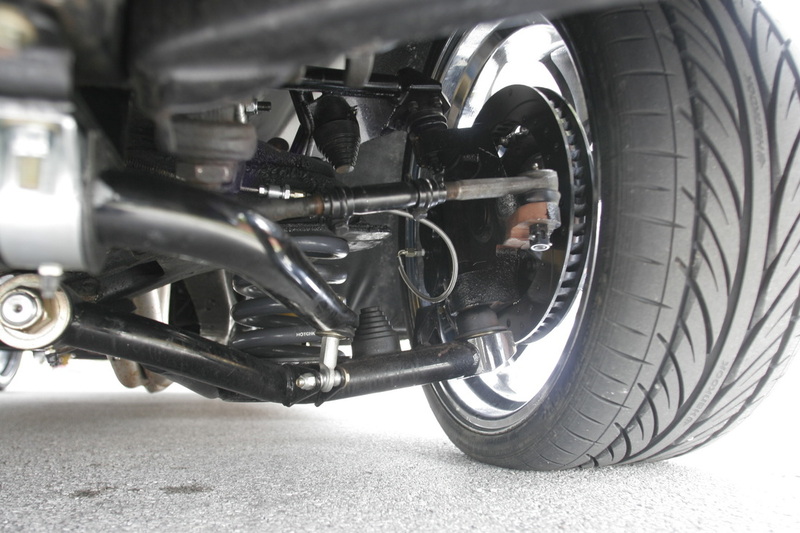 In order to chase sports cars the truck needed big brakes and a tunable suspension. 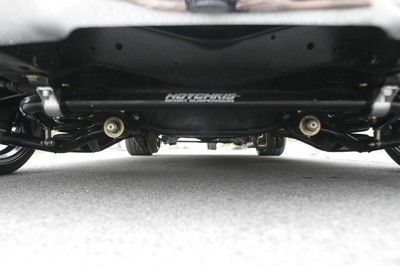 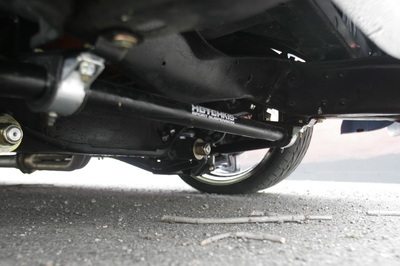 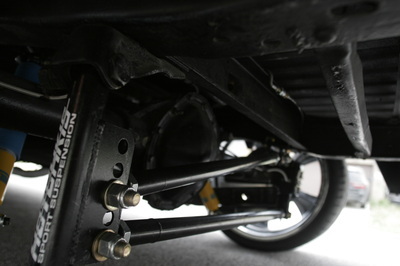 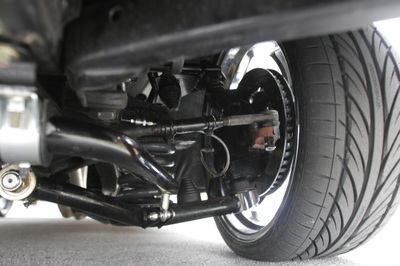 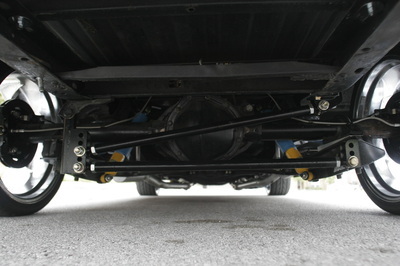 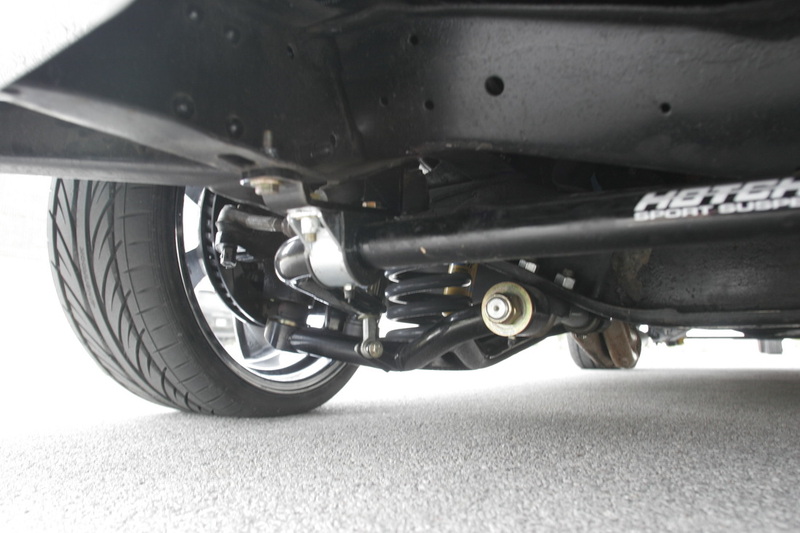 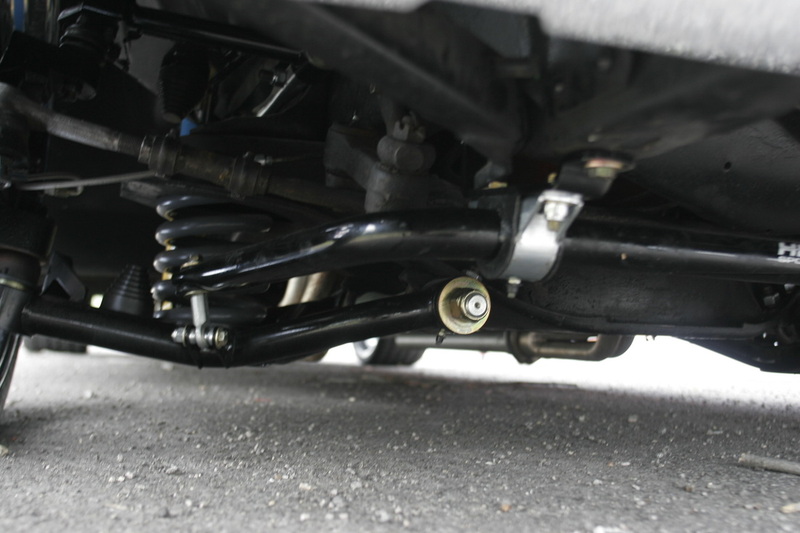 Hotchkis Sport Suspension provided a complete kit that was tunable and entirely adjustable. Wilwood High Performance Brakes kit was installed on the hot rod that used ten (10) total pistons for clamping force on 14.5 inch rotors. 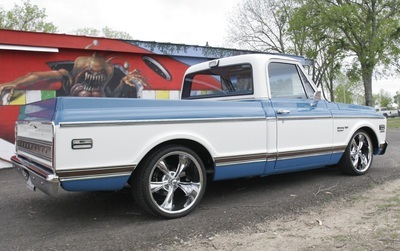 Every brake line and fitting was upgraded to stainless braided line using AN fittings which were all flared and installed by owner, Sergio Cantu, himself. 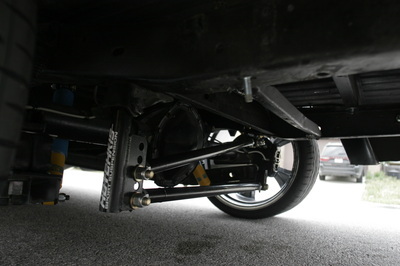 ATE Super Blue fluids were used in the system and the pedal was rock solid with zero fading forces. 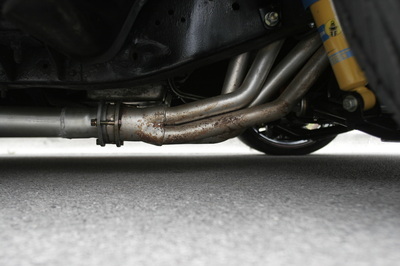 Fabbing parts and finding a way to route the exhaust was not easy. 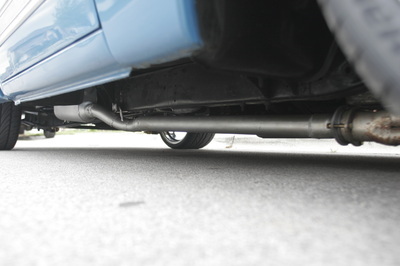 Jason Lawder spent countless hours trying to find any extra ground clearance. 3rd Gear Garage was unable to gain more room as Hotchkis left only 5.25 inches from the ground to the lower control arm which yields roughly 3 inches of clearance at the long tube collectors. 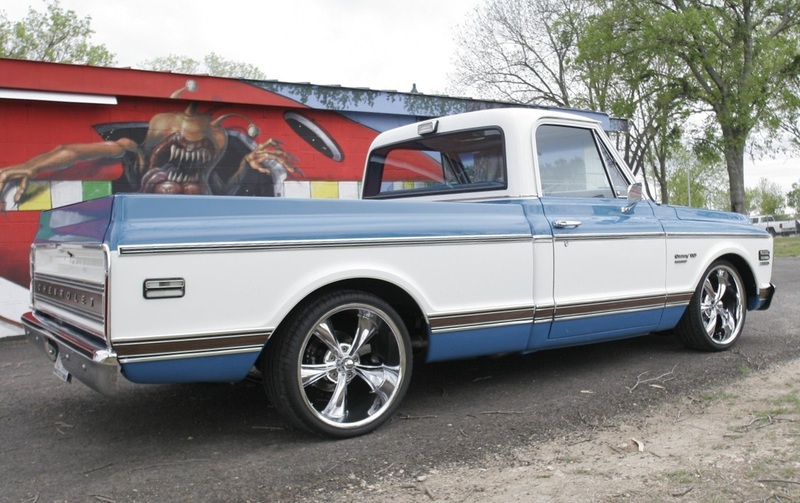 But after everything was said and done this truck deserved some big respect. 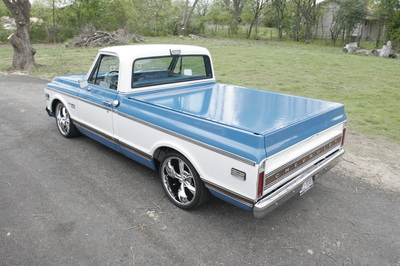 If you see this truck on the road tip your hat to the owner becuase it’s simply amazing! 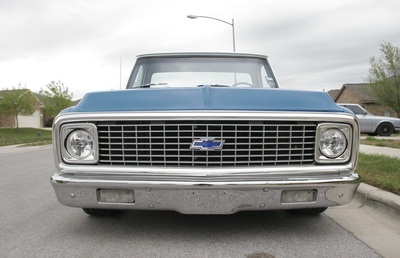 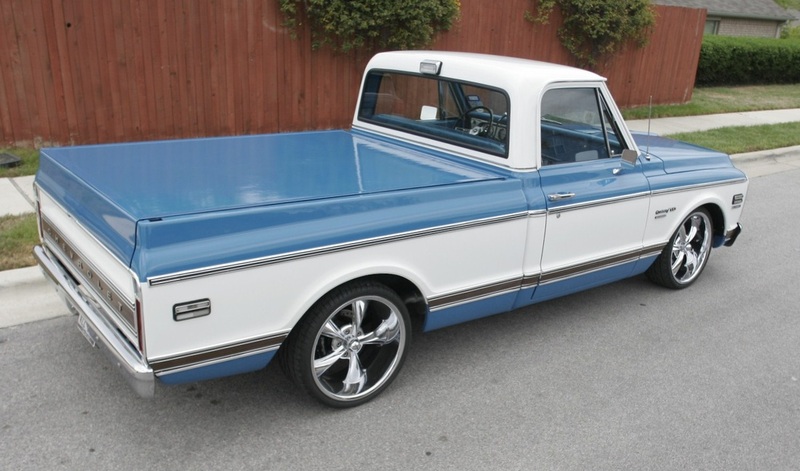 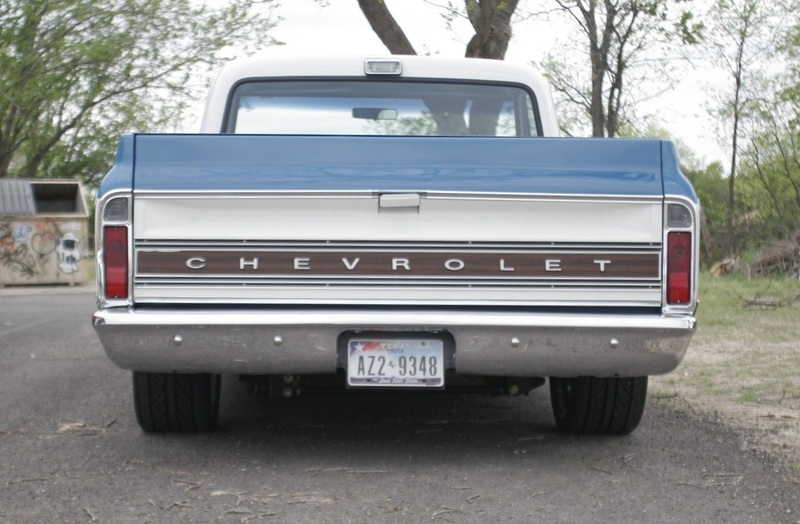 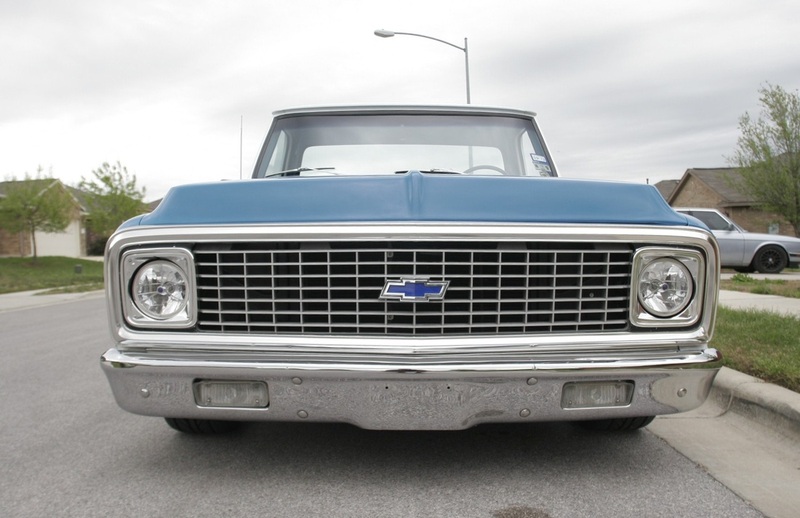 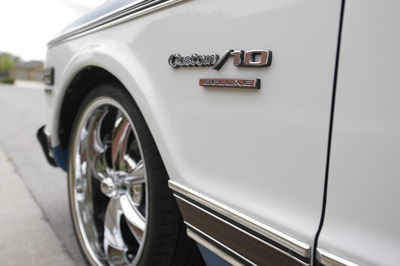 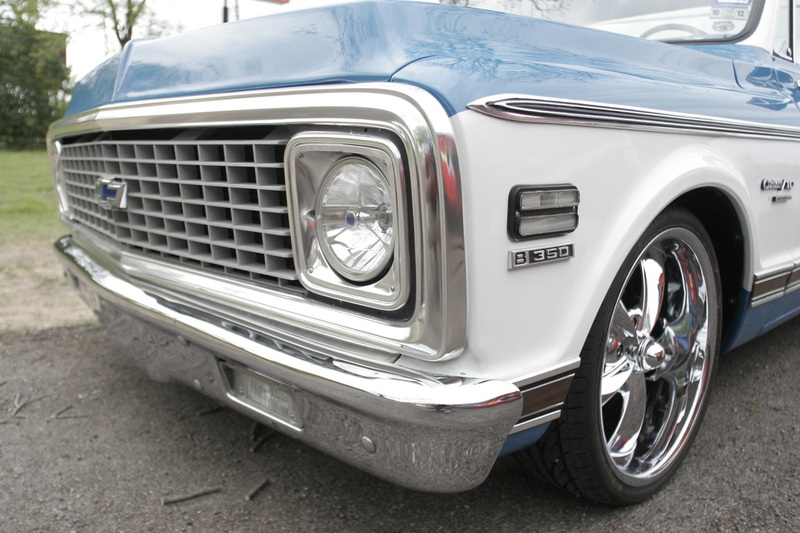 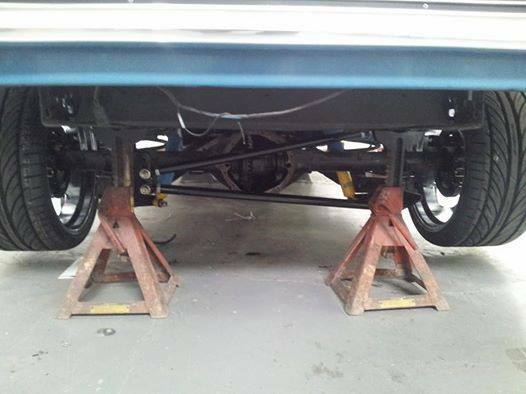 One glance under this chassis and you'll know this beautiful 1971 Chevrolet C10 Pro Touring means business! 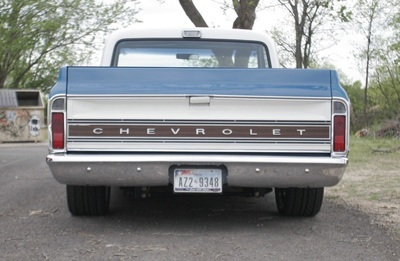 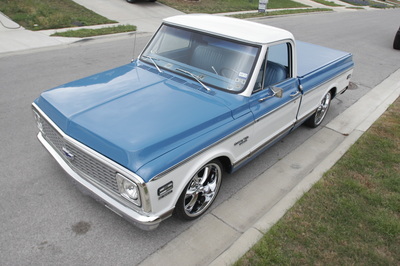 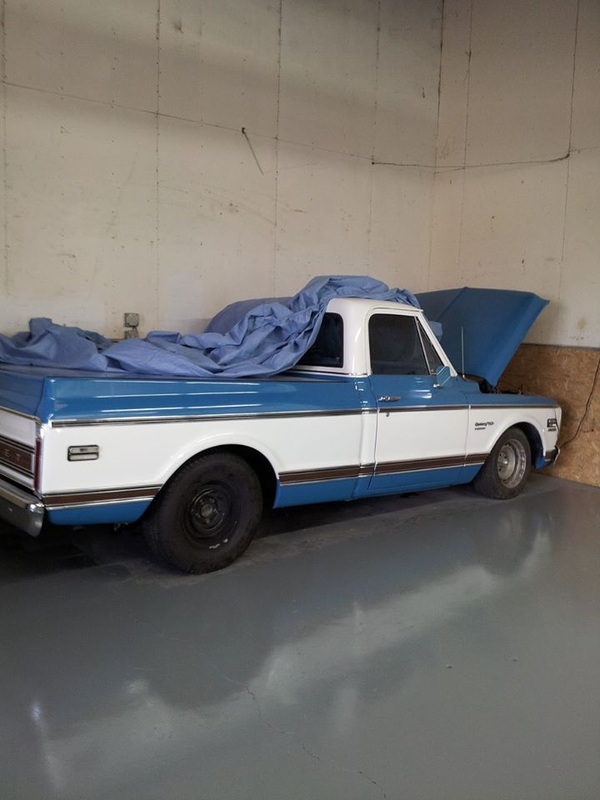 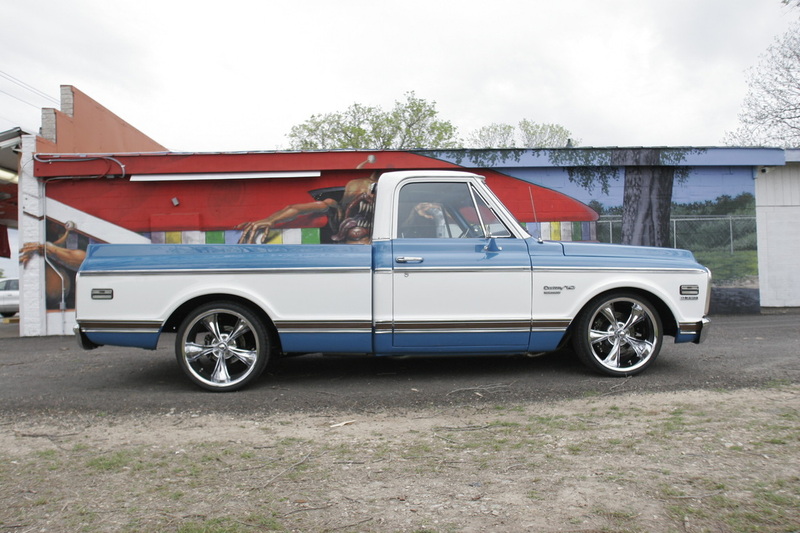 Photos of the 1971 Chevrolet C10 Pro Touring before 3rd Gear Garage and Hot Rod Shop laid hands on this truck. 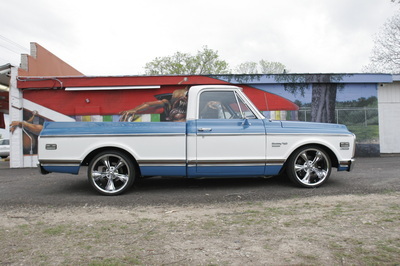 The final photo shoot of the 1971 Chevrolet C10 Pro Touring after 3rd Gear Garage turned this truck into an awesome hot rod!